Microsoft has completely revamped the way users upgrade to new versions of Windows with the release of Windows 8. You can now upgrade completely over the Internet as opposed to buying a disc-based installation DVD. This makes upgrading quicker and more efficient than ever before. 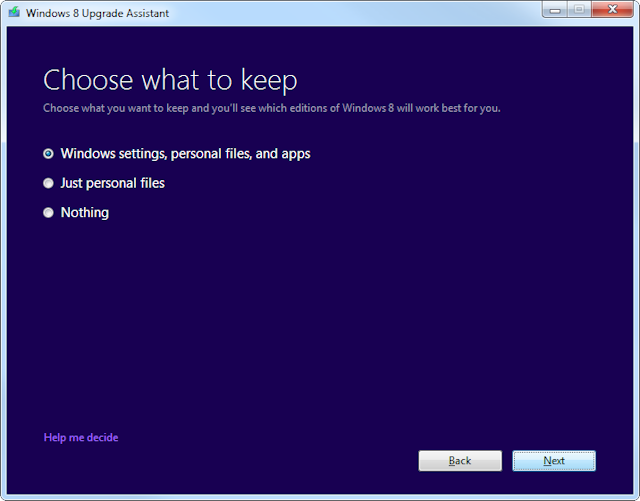 We’ll show you how to start the installation processed to upgrade to Windows 8. 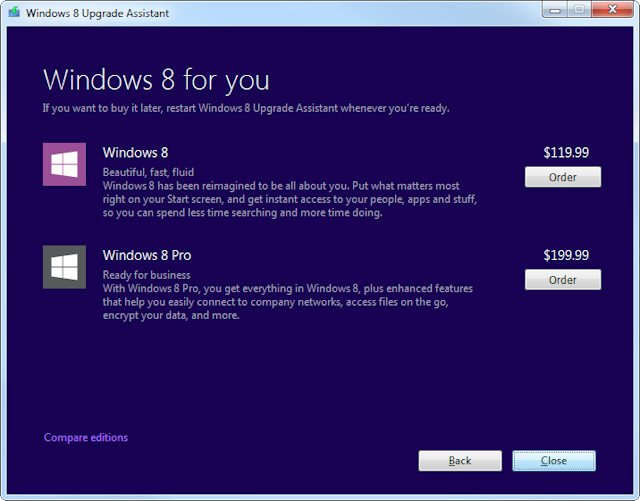 If you are ready to upgrade to Windows 8, head to Microsoft’s upgrade site. Microsoft provides this tool to let you know if your computer is capable of running Windows 8. This tool will scan everything from hardware to software to everything in between. 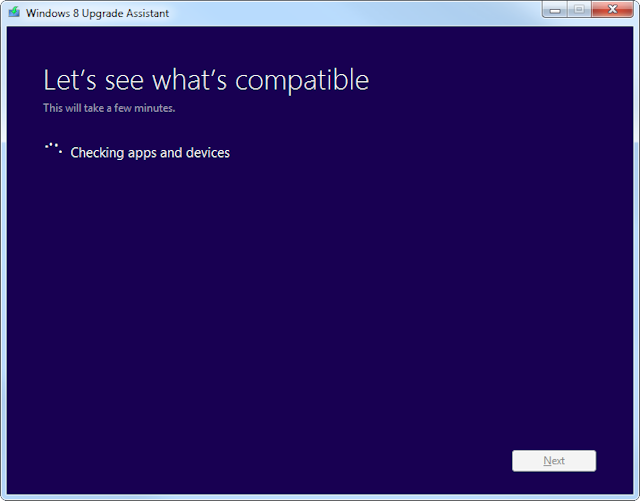 This is a powerful way to see if your computer is ready for the upgrade to Windows 8. 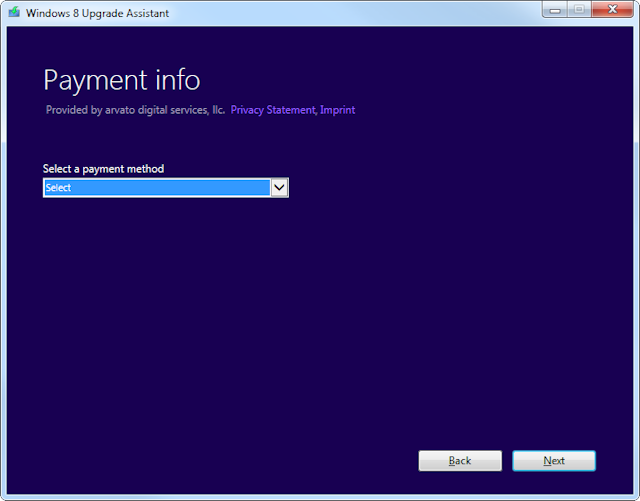 Once downloaded, click the Upgrade Assistant to get started. 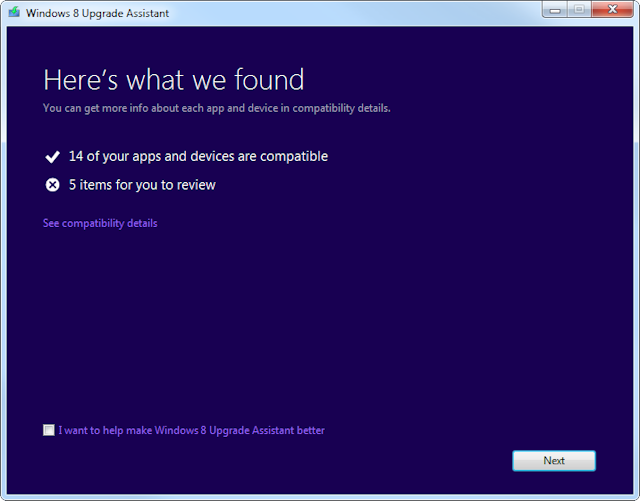 The first thing the Upgrade Assistant will check is whether or not your version of Windows, hardware, and apps are compatible with Windows 8. You’ll be presented with the information to go over before continuing. This will open a new window for you to go through the compatibility issues. Depending on what they are, you can choose to proceed or not. Make sure you save the file or print it for reference so you know what to upgrade and re-install once the Windows 8 upgrade process is complete. 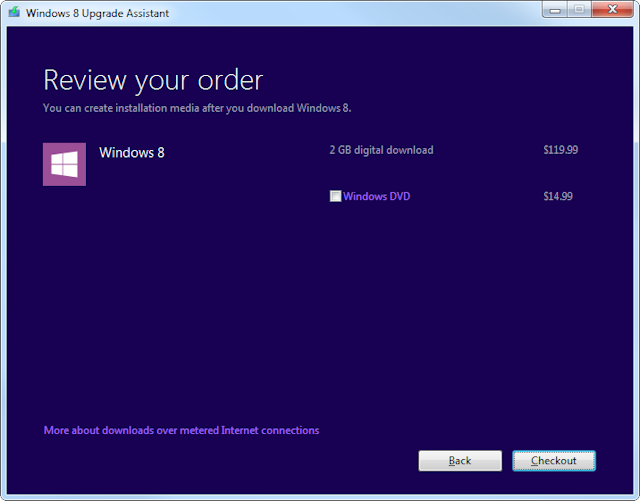 Now, you will choose what version of Windows 8 you want to purchase. You can click “Compare editions” at the bottom to see what each version offers. Click “Order” for the version you want to upgrade to on your computer. You have the option of ordering a Windows DVD for an additional cost. While you can download and install Windows 8 over the Internet, if your service provider limits the amount you can download, you may run into issues installing Windows 8. 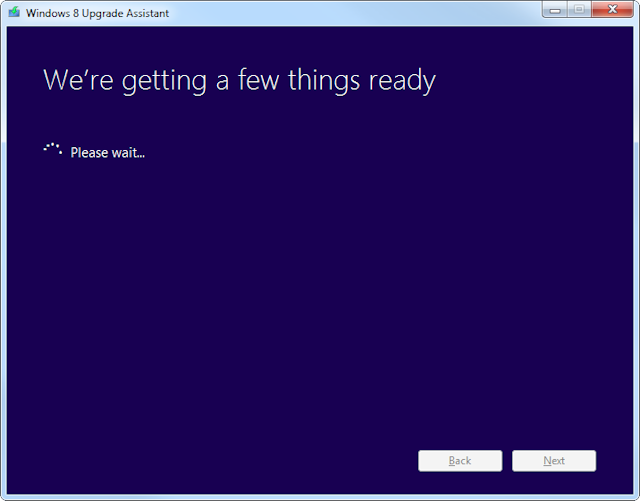 It’ll take a few moments for the Windows 8 Upgrade Assistant to move forward. 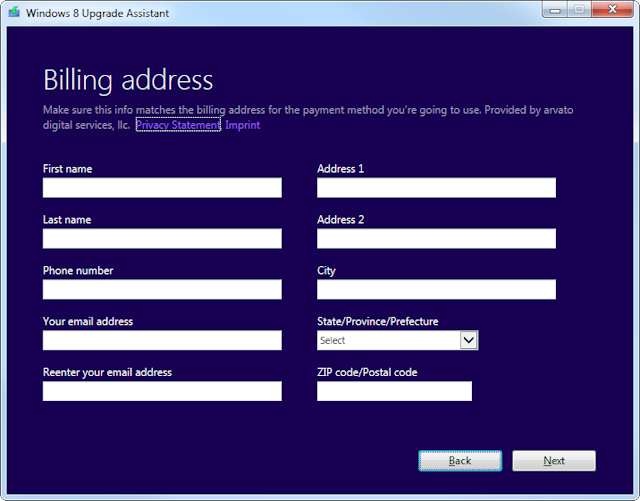 You’ll now enter your billing address as it matches your method of payment. Now, you’ll select a payment method. You can choose to pay by credit card or PayPal. If you select the latter, you will have to login to PayPal to complete the transaction. You will then confirm your purchase, make your purchase to upgrade Windows 8 and then proceed the download and installation process for Windows 8. Windows walks you through each and every step, downloading Windows 8 and installing it is easy to do with Microsoft’s revamped upgrade system. Should you upgrade to Windows 8 over the Internet or by DVD? When it comes to how you upgrade to Windows 8, it all depends on your Internet provider. If your service provider limits bandwidth, you may need to order a Windows 8 DVD to install and upgrade your operating system. 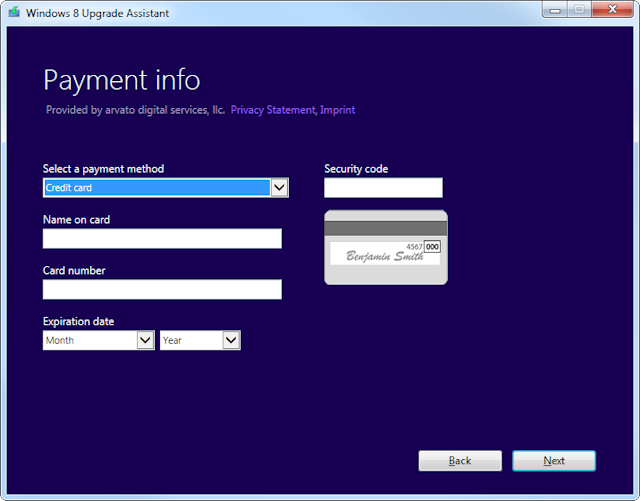 Before you upgrade to Windows 8, call up your provider and find out what they think about upgrading over the Internet. 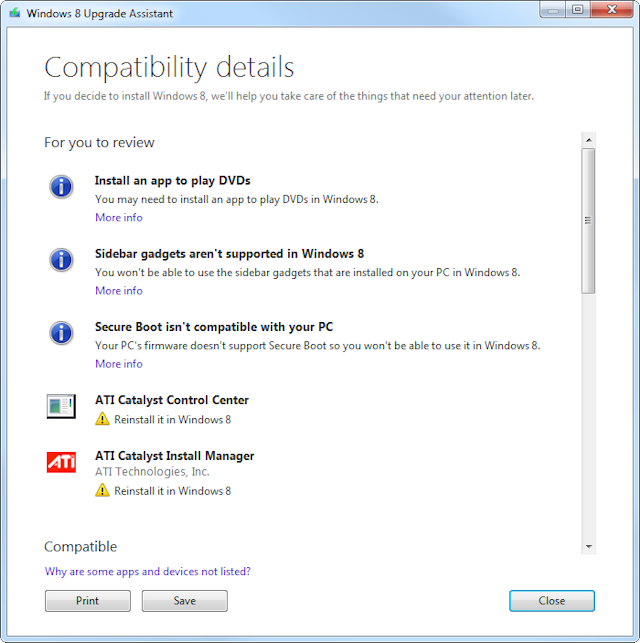 Then, you can make a decision as to whether to download Windows 8 or upgrade via DVD.